OpenVox Communication Co.,Ltd, a global leading provider of the best cost effective VoIP gateways and Asterisk® solutions, has announced today to release a brand new series of analog gateways. With features of small size, exquisite enclosure and high performance, the iAG Analog VoIP Gateway is specially designed for saving space and maximizing cost savings which is ideal for SMBs and SOHOs. Be different from VoxStack series, the OpenVox iAG series has no moving parts and built to last, it includes 4 models and available in 4 or 8 FXS/FXO ports. 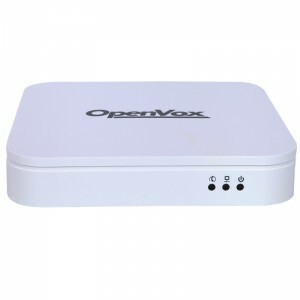 It can be configured for different country uses, provides a wide selection of codecs including G.711A,G.711U,G.729,G.722,G.723,iLBC.The OpenVox iAG analog VoIP gateway uses standard SIP protocol, includes all analog gateway features and compatible with leading IMS/NGNNGN platform, IPPBX and SIP servers. Based on the open source Asterisk, the iAG analog gateway comes with high performance, friendly GUI and unique design, it will be ready for worldwide shipping today. For more product details, please visit http://shop.voipdistri.com, or you can simply email us at info@voipdistri.com for any enquiries. You will get special reseller conditions for complete OpenVox Gateway and Interface cards of VoIPDistri.com product Portfolio – click here!